Teradata Corporation has adopted a Code of Conduct, “Rising Above,” which establishes the minimum standards of proper conduct that must be met by all Teradata associates and all Teradata organizations throughout the world. These standards apply to all Teradata employees, temporary employees, independent contractors, agents, representatives, officers and board members, and to all Teradata subsidiaries, affiliates, departments, business organizations, operating units and teams. Teradata also has adopted the principles of the U.N. Global Compact and the Responsible Business Alliance, and has aligned its Code of Conduct and ethics and compliance processes to be consistent with those global policy positions. 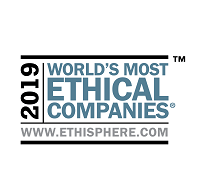 Teradata has been recognized by Ethisphere Institute as one of the “World's Most Ethical Companies” for the past ten years. A Teradata subsidiary, affiliate, department, business organization, operating unit or team may adopt and apply its own supplemental code of conduct, policies, procedures and management practices to establish heightened standards of conduct for it and its associates. However, in all events, those supplemental standards of conduct must be at least as stringent as the Teradata-enterprisewide standards. Suppliers and Business Partners: Teradata suppliers and business partners (such as resellers, distributors, alliance partners and contractors) are expected, and may be required to agree formally, to meet or exceed the standards of the Teradata Code of Conduct for Suppliers or the Teradata Code of Conduct for Business Partners with respect to all of their Teradata-related activities. Raising Concerns: Teradata-related Code of Conduct, policy and other ethics and compliance questions can be raised, and violations or suspected violations can be reported, through the Teradata Ethics Helpline. The Teradata Ethics Helpline is a 24-hour-a-day, multiple-language service which is accessible online and by telephone. Through the Helpline, questions may be raised and violations may be reported in good faith on an anonymous or confidential basis to the fullest extent permitted by applicable law. For Online Access: Visit our Global Compliance web site. For Toll-Free Telephone Access: dial 1-866-455-0993. The Teradata Code of Conduct also includes contact information for other ways to raise and report concerns and violations. Regardless of the channel through which the concern is raised or the violation is reported, Teradata will not retaliate against anyone because they raised a concern or in good faith reported an actual or suspected violation.